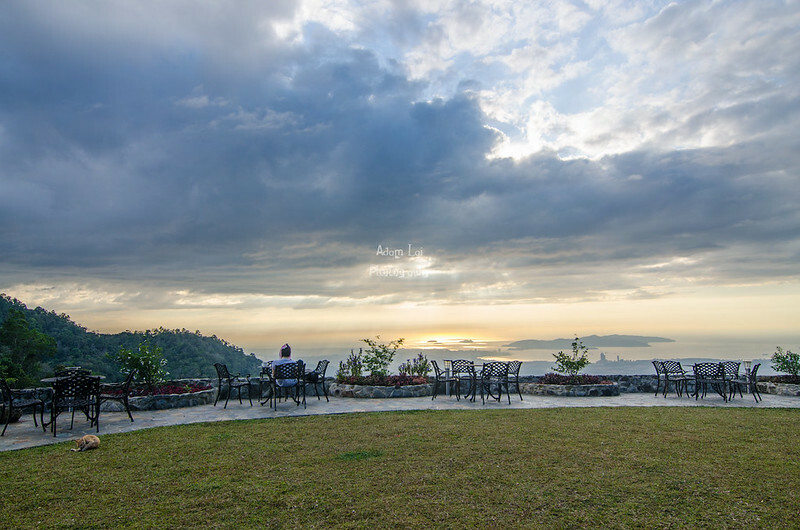 Kota Kinabalu has some of the most unforgettable views. 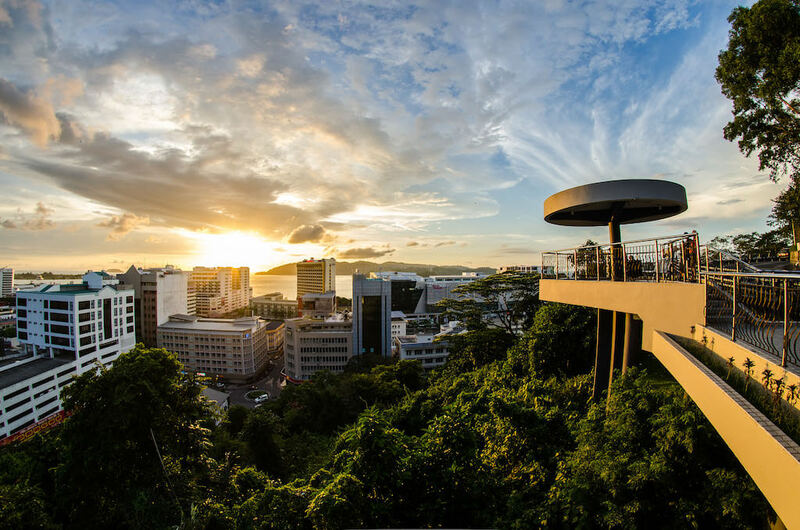 Its ‘golden hour’ is an equivalent to a dramatic postcard picture and there are many locations in Kota Kinabalu that put up an impressive light show. 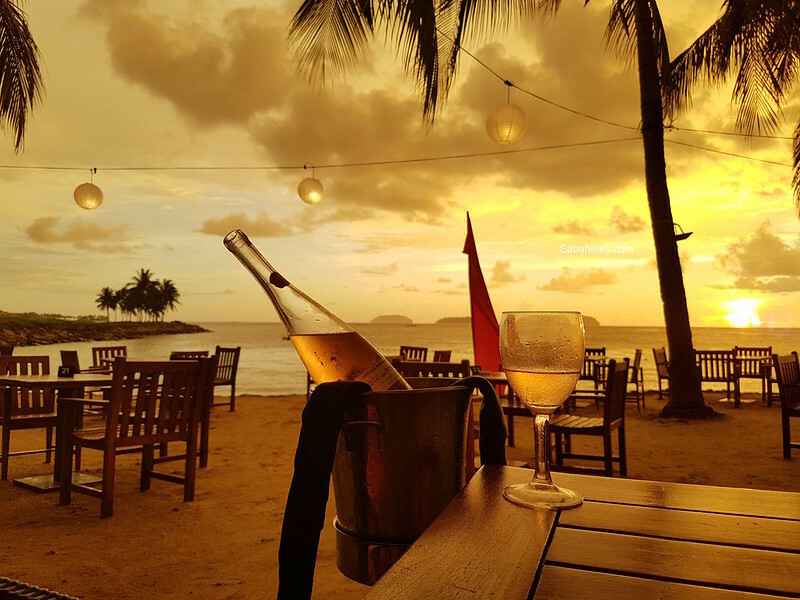 Enjoy sunset while having a glass of cocktails or a delicious meal is definitely one of the unbeatable experience when in Kota Kinabalu. Check out these restaurants, beaches, and popular nightlife spots to see the sun go down on the city. 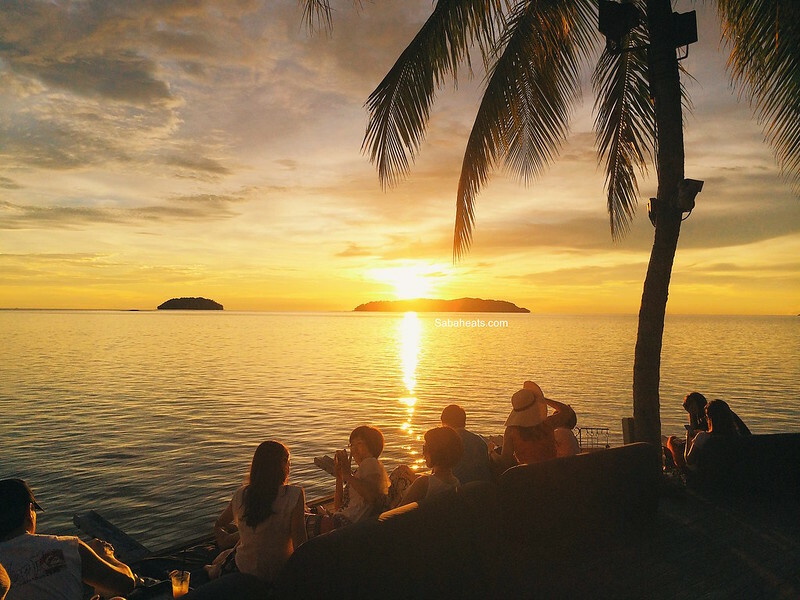 The quintessential Kota Kinabalu experience head on over to Sunset Bar. 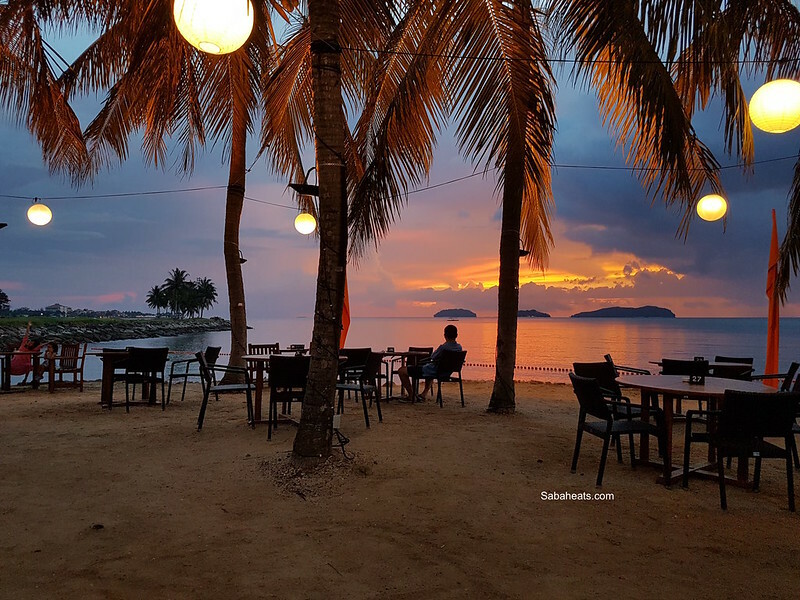 The extremely Instagrammable Sunset Bar at Shangri-La Tanjung Aru Resort offers seaside sophistication like no other so get ready to whip out your phone and snap scenic photos of Kota Kinabalu’s sunset in all its glory. The bar also takes pride in their skilfully mixed cocktails and a menu that features a list of Western finger food and drinks. Moreover, Sunset Bar offers two happy hours, beginning from 4-5pm and then from 8pm -11pm. Sunset Bar’s geography also allows for stunning views in all directions while making it the perfect spot to lounge gracefully with a drink in your hand from the outdoor daybeds as you watch the sunset reflect off the ocean. 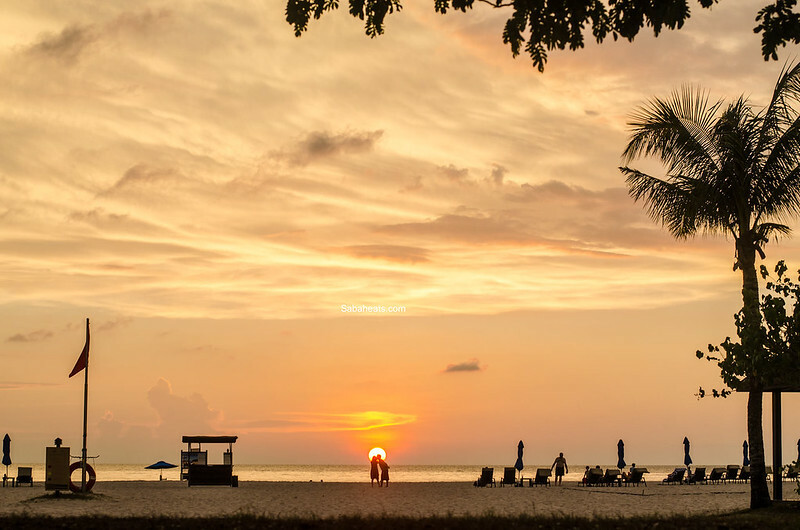 Spanning across a beautiful beach resort, the Breeze Beach Club located at The Pan Pacific Sutera Harbour and Al Fresco at Magellan Sutera is where locals and travelers alike flock to watch sublime views of the sunset. Many visitors come for the views but the Breeze Beach Club also boasts an impressive fire show display and western cuisine. Moreover, the club’s Barbecue Fiesta Buffet on weekends (Friday – Sunday) or their Ala Carte on weekdays makes them a popular spot to unwind and be merry. 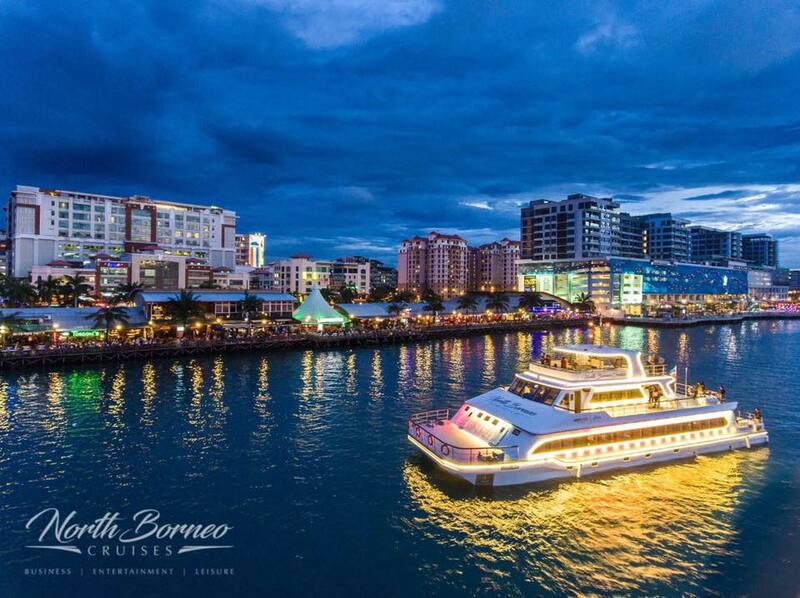 The North Borneo Cruises just might be your next favorite experience to view the overall vista of the city’s sunset from the sea! 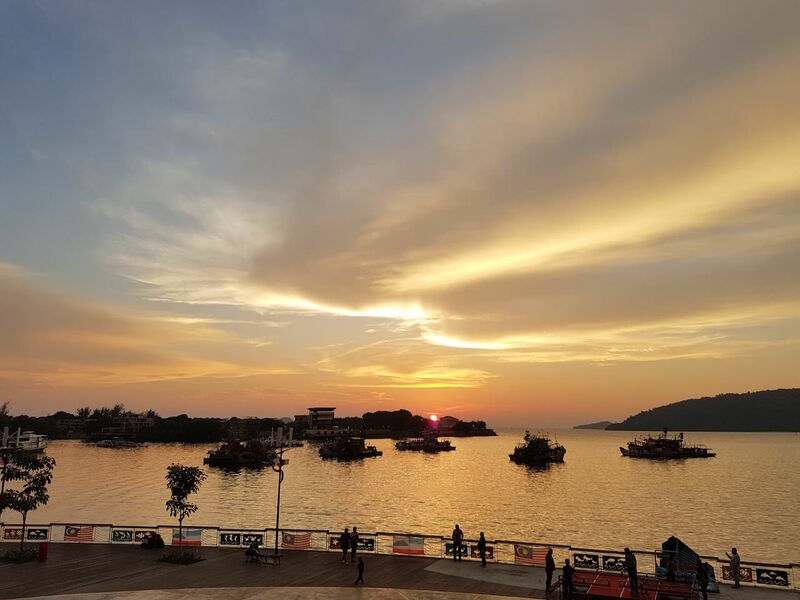 The 2-hour sunset cruise departs from the Sutera Marina Jetty and coasts along the Tunku Abdul Rahman Park Islands and across KK city’s waterfront. 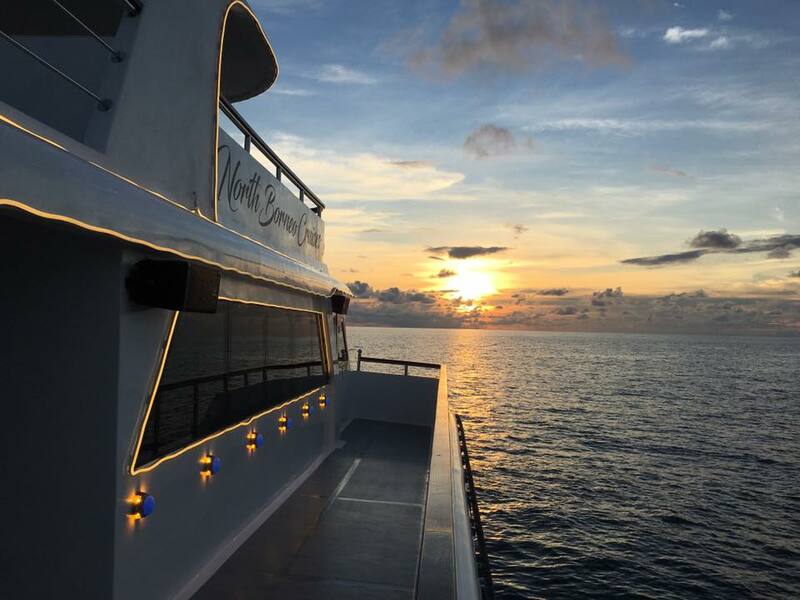 The crew ensures a premier front row seat of the sunset while an inclusive international buffet dinner and live entertainment provide the perfect balance of nature and the lavish things in life. 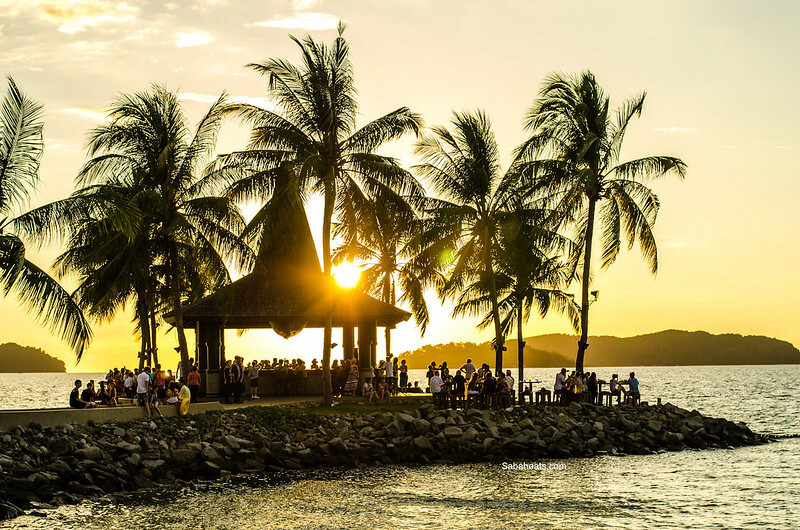 Everybody’s favorite hangout spot to watch the setting sun rays is none other than the Kota Kinabalu City waterfront. Situated opposite Warisan Square, the Waterfront Boardwalk hosts a number of restaurants, bars, and pubs which give you an indescribable view of the sun falling below the horizon. To experience KK’s nightlife, check out the seafood restaurants along the boardwalk and the Philipino market which is just within walking distance from the waterfront. For a more exclusive experience to celebrate the sunset, Rasa Ria is an ideal dreamy sunset spot outside of the city center. There are plenty of places at this beach resort to watching the sun setting. The hotel’s vicinity is quite large which makes it easy to find a private spot all to yourself. Walk along Rasa Ria’s beautiful beach, relax and enjoy the sea air. And if you’re feeling peckish, but don’t want to leave the spectacular views, there’s also Rasa Ria’s Coast Restaurant & Bar situated right on the beach which has a good variety of food and plenty of choices for all tastes. The only restaurant located at private property alongside Tanjung Aru Beach. 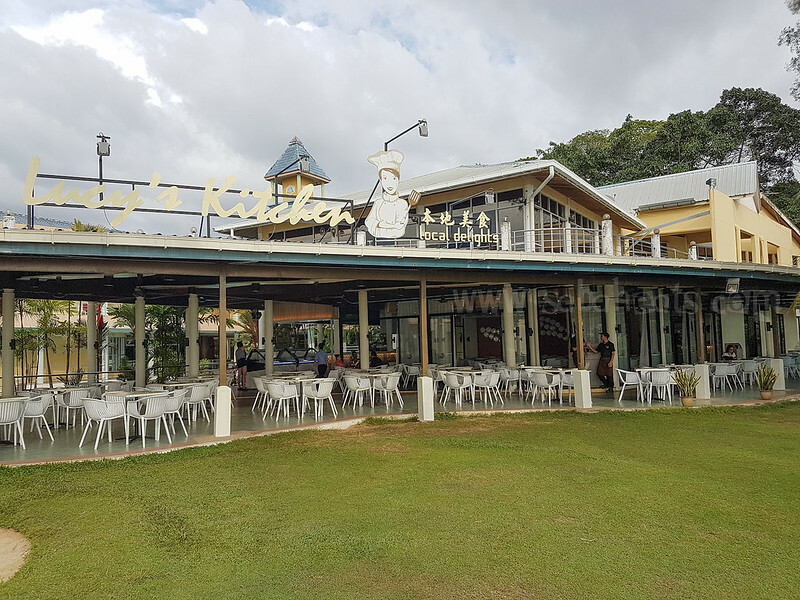 Sabah local brand, Lucy’s Kitchen open their 4th outlet at Kinabalu Golf Club. The publics are welcome to the property. Enjoy Sunset while enjoying Malaysian foods. 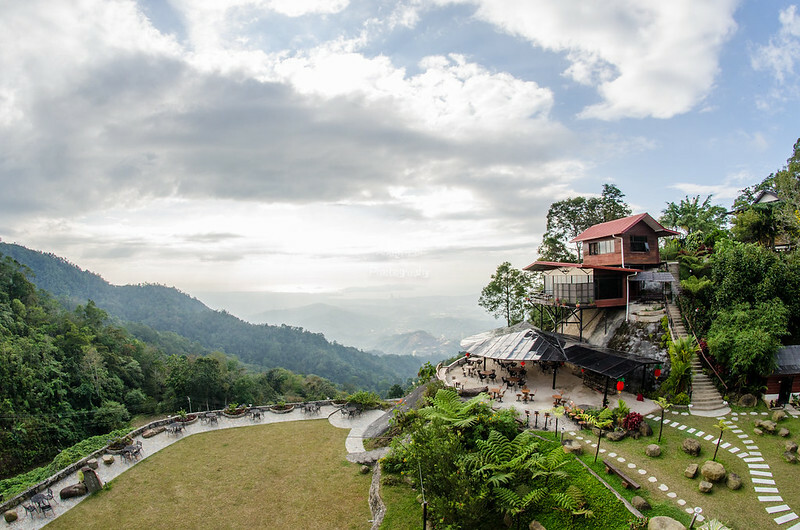 Located at Kokol Hill, Kokol Haven offers an amazing view of Kota Kinabalu area. Going There: From Kota Kinabalu direction, drive pass Inanam Town and Menggatal Town along Jalan Tuaran. Turn right at the first junction after passed Menggatal Town. You will see a road sign “Jalan Kokol Poring Poring Menggatal”. Drive all the way up till Kokol hill.